Installing a painted glass splashback in your kitchen or bathroom couldn’t be easier and offers a stunning and modern alternative to traditional tiling. Looks great! With unlimited colours with metalic & sparkle options. Great wall protection with no gaps or grouting seams. Custom cut to shape with cutouts for sockets, switches, etc. Bespoke Cut to Fit Service. Northfield Glass supply beautiful back painted coloured glass splashbacks and panels will enable you to create a special atmosphere in your home or office, making your space truly unique. With state of the art cutting machinery we can add numerous socket cut-outs and notches for that perfect seamless fit. 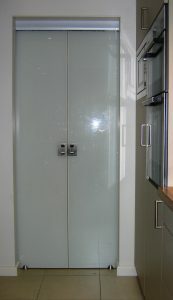 Northfield Glass can work with your kitchen or bathroom fitters or discuss your requirements to help you get the look you want. Glass panels can be manufactured from sheet sizes of 3200mm x 2540mm, allowing extensive flexibility on design. Almost any shape and style can be catered for, allowing you to have continuous sheets of glass along the whole wall without any joints. Socket cut outs, holes and shapes can be cut into the glass without interrupting the flow of the glass or additional joints, providing you the cleanest of finishes. 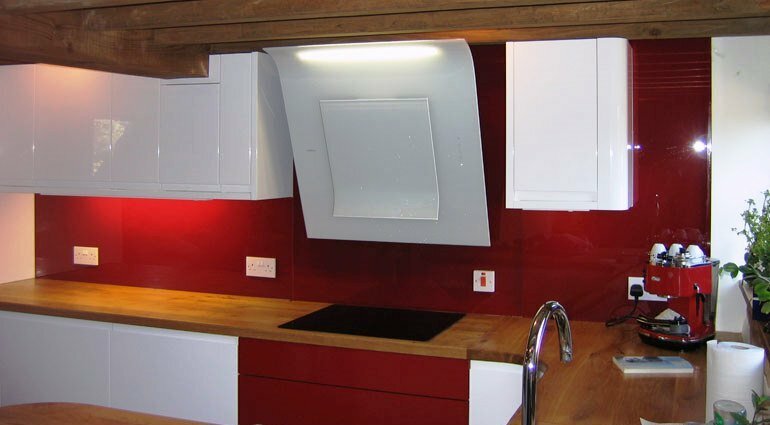 Northfield Glass’ Toughened Glass painted splashbacks are: stain proof, acid & alkali resistant, fade proof, non-porous making them extremely hygienic, durable, heat resistant (250 C for 4 hours) and very easy to clean! Monday to Friday, 8am to 5pm or Saturday, 8am to 1pm. 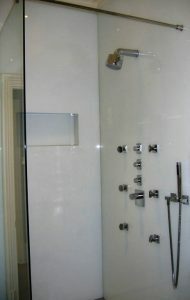 Bathroom Painted Glass Walls & Splashbacks. 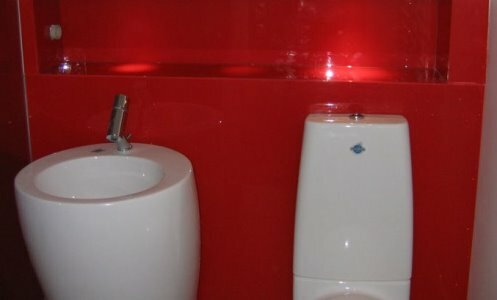 Painted glass panels are widely used over the whole bathroom, particularly within the high splash areas of showers basins and baths.